I found these notes on my desk this afternoon, and decide I better upload them before I either lost them or forgot about them. 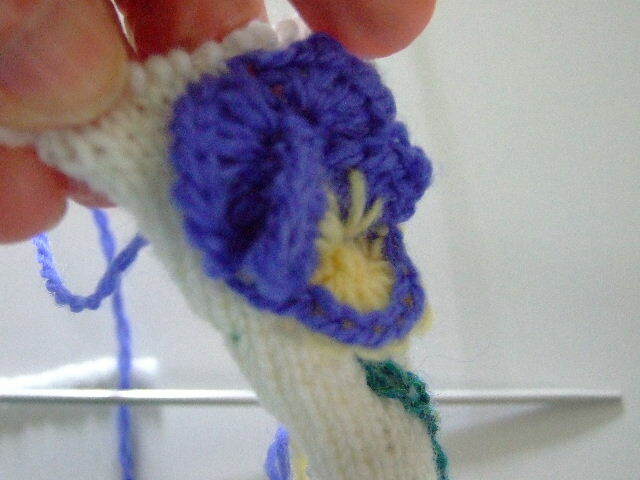 These pansies are fun to make, and the fan that makes the petals can be used for other flowers as well, even butterflies. I am sure that some of you will come up with even more ideas on how to use them. Try them out. * Pattern note- be sure to pull your loops at least 5/8 inch long. Wandering Chains/Just a little needle gymnastics! Lately, I have been playing around with what I term as Wandering Cable Chains. Why this term? 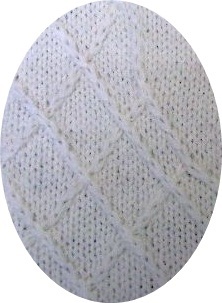 First, the stitch itself appears as if it is a crocheted chain laying on top of the knitted surface. 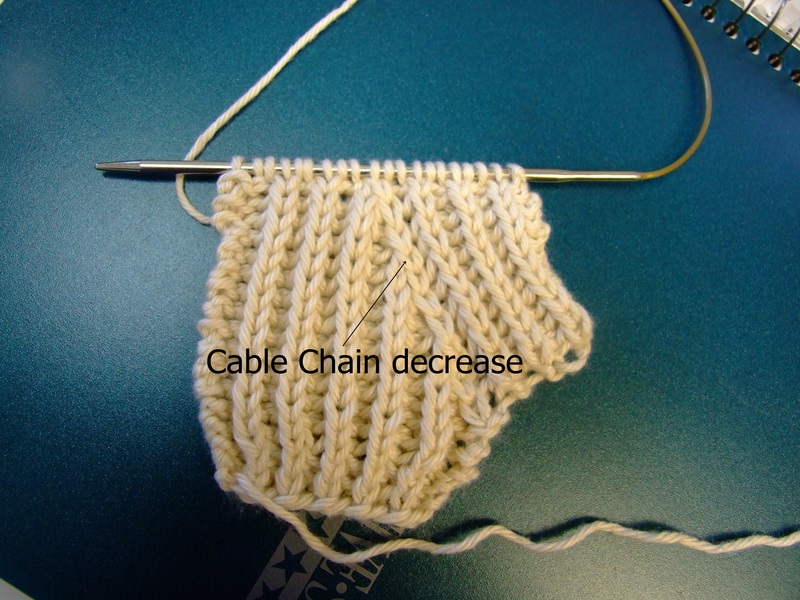 Secondly, the method of moving the stitch is similar to when you work a “Cable” pattern; hence the term “Cable Chains.” The “wandering” part, is the ability to take this chain st anywhere you want. 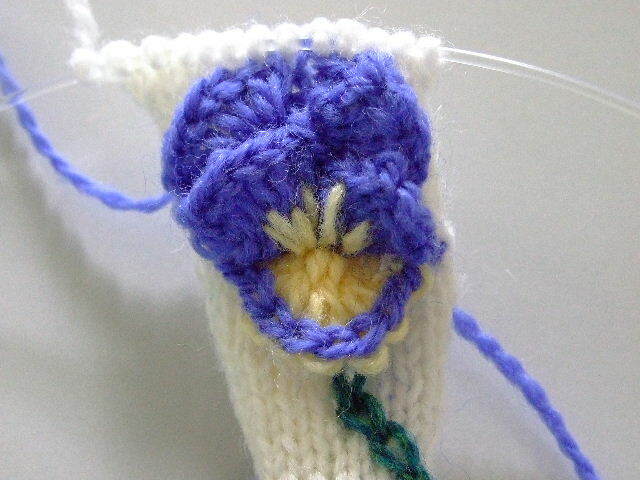 This stitch has enabled me to created many differents special affects for my lastest project-Needlepoint Knitting. It can be used to outlines sections of any Intarsia design(if you like the smooth edge look), draw designs on plain stockinette background, and best of all it is a great cover-up st for decreasing a very busy pattern on a raglan sleeve design. The pictures below show just a few possiblities for their use. This pillow top is one of my lastest Needlepoint Knitting designs. You can see that I have used the Wandering Cable Chain to create an oval frame and textured design around my roses. 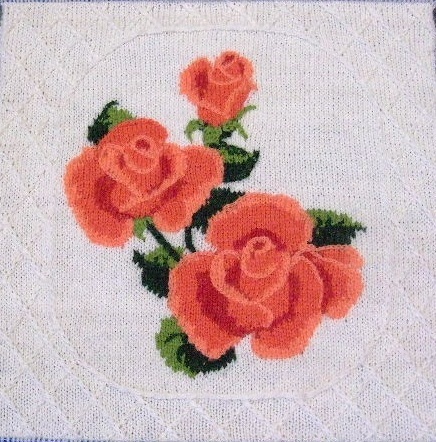 Below is a close up of the detail in the frame of my Tropicana Rose Pillow. You can see the chains forming lattice work around the oval frame of the design. Below is another application of this technique. 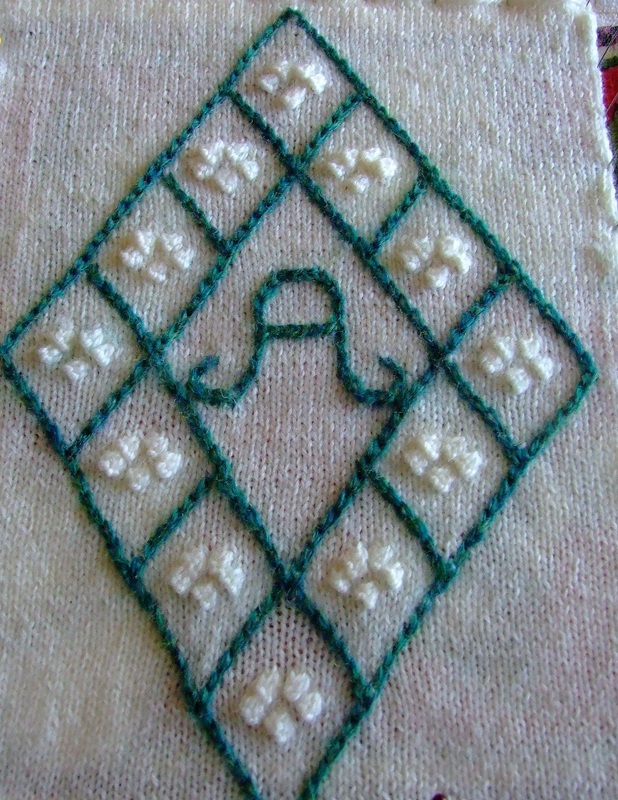 This diamond design can be applied to sweaters or any flat surface. I will be posting this pattern soon. 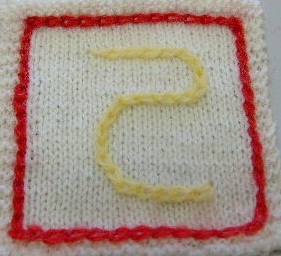 Here is a example of how I used this stitch to cover the necessary decreases in this complicated pattern. But for now, I decided to post a tutorial that explains the process, and gives you a chance to play around with it. This sample is just a swatch I played around with. You will notice that it is not centered, that is because I was indeed just wandering around with my chains. However, the pattern that I have in the tutorial is centered. There are 14 pages of written instructions and pictures, as well as a chart that will give you a chance to try it out. The chart on the last page has the symbols that I will be using in all my Needlepoint knitting patterns. I hope you have as much fun as I had working with these chains.